No, we don’t charge commission. We consistently have the best rates in Warringah Mall (and further afield). Most of the Banks in the Mall refer their customers to us. Our rates on the Cash Passport card for loads and reloads are better than with Cash Passport direct. We accept Cash, EFTPOS, Credit Card (1% fee), Bpay free of charge. Who owns Northern Beaches Currency? Ian Spight Pty Ltd owns and operates Northern Beaches Currency. We are a family business, locally owned and operated. Between 2010 and 2016 in Warringah Mall we traded as The Currency Exchange (and still do in our sister store in Wollongong). Our online store for currency orders and travel card reloads is www.thecurrencyexchange.com.au. Do I need to order currency or can I just come in? We always keep over 40 Currencies in a mixture of denominations in stock at a time. It is always best to pre-order – we usually only need a couple of days to get hold of things we don’t have in stock. Even if you call us (0299397490) on the day you want to pick it up and we can keep it aside for you. More information on Currencies is available below. Can you pay direct into my bank account? Yes, just bring us your BSB and Account number. There is no fee for this service. We can also split the transaction – for example give you $200 in cash and $500 into your bank account. Which Travel Card do you sell? We sell the MasterCard Cash Passport. More information on the card is available below. We only buy and sell Currency and Travel Cards. Focussing our attention keeps our knowledge up and our costs down. We don’t sell international payments (Western Union, MoneyGram, payments to overseas bank accounts etc), international bank cheques, Travel Insurance or Travel Cards / SIM cards. We are located Upstairs in Warringah Mall, opposite Howards Storage World next to the NAB and Suncorp, near the Target Car Park. Are you the guys that used to be near Myer? Yes, we used to be on the ground floor near Myer, but moved upstairs during the recent renovations. We’ve been in the Mall for over 10 Years. Do I need ID and a plane ticket to buy currency? We do need ID (Driver’s license or Passport) for all transactions. You don’t need a plane ticket to buy currency – you don’t even need to be travelling (for example it could be a gift). 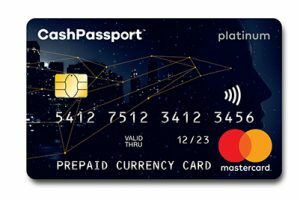 Northern Beaches Currency are an agent of MasterCard and issue their Platinum Cash Passport Product. Why take a travel card? Can't I just I use my normal bank card? Can't I just I use my credit card? Travel Cards are prepaid debit cards – similar to your Eftpos card, but designed for use overseas. They can be used to make purchases in shops or withdraw from ATMs (using a PIN or Tap & Go). You can also use them to make purchases online (eg book your hotel before you travel). Travel Cards are Prepaid. 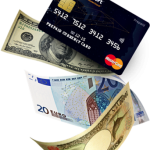 Funds are loaded onto the card in a choice of currencies before use. This means that you can’t over spend and don’t have a surprise bill when you return home. Travel Cards have been around since 1996 and were created as a replacement for Travellers Cheques. Travel Cards are a safe way to take money overseas. They are PIN protected and not connected to your bank account. The Cards come with emergency assistance and usually a back up card so you never get stuck without access to your funds. Travel Cards can be loaded up in advance – with the exchange rates locked in. This means that you don’t get any exchange rate surprises if the Australian Dollar drops while you are away. By accessing the international ATM and payment networks Travel Cards are truly a global product. Put simply, Travel Cards are designed for use overseas and have the features to complement this. Cash Passport is the longest operating Travel Card and is a direct descendant of the original Thomas Cook travel money Card that was first issued in 1996. This longevity brings experience, knowledge and regularly improving features. Cash Passport is owned and operated by MasterCard directly and issued through agents. This gives them a global reach and support network. As well as normal usage to purchase goods and services Cash Passport has extra features including: Tap & Go, App and website for balance and transactions, 24 hour emergency assistance, Card to Card Transfer (eg parent to child) and Free Wifi. More details are available below. Your bank card will probably work overseas but you will have to check with your bank first. You will also need to check the international fees involved – at ATM and when making purchases – these are usually higher than travel cards. You also cannot lock in exchange rates on your normal bank card. You should also be careful using your ATM card overseas as it will be difficult and costly to get a replacement card if it is lost or stolen (usually $100 or more). Depending on your destination you will also need to be mindful of fraudulent transactions and identity theft. Put simply, Travel Cards are designed for use overseas and have the features to complement this. Your normal bank card is designed for use in Australia and has the relevant features for that. Your Credit Card will work overseas but you will likely have to notify them first. You will also need to check the international fees involved. ATM withdrawals will be a cash advance and have associated fees on top of the ATM fees. Making purchases with your Credit Card will often offer good rates but you cannot lock in exchange rates so will need to know what the exchange rates are doing while you are away. You should also be careful using your Credit Card overseas. as it may take time to get a replacement card if it is lost or stolen. Depending on your destination you will also need to be mindful of fraudulent transactions and identity theft. If possible we always recommend that you take an empty credit card with you in case of emergencies – eg you need to buy a flight home in a hurry. They are also handy if you see something that you simply must buy! Put simply, Travel Cards are designed for use overseas and have the features to complement this. Your credit card is designed for use in Australia and has the relevant features for that, with some international feature thrown in. Can I use my card to make purchases in shops and restaurants? Yes, you can use your card anywhere that takes MasterCard. Basically anywhere you would use Eftpos or Credit Card at home. You can use any ATMs that accept MasterCard. The ATM locator has more information. Yes, but some websites may restrict prepaid card. The card has a CVV number on the back. If you do this in store it is instant but allow an hour to be safe. Bpay reloads received by close of business are usually received over night and loaded in the morning. Please note that reloads made direct with MasterCard will take longer. These are out of our control. Make sure you go to our online store for your reload to avoid this. How do I load funds onto my card? You can come in and reload over the counter with Cash or Eftpos. You can also reload at our online store by Bpay. Can I use my cards onboard a cruise ship? Quick answer no; long answer, maybe. Most cruise ships only process payments while they are in port and so only take credit cards (these can be processed without checking a balance). You should however be able to use your card in the ATM in the casino and then use the cash to pay. For these reasons we don’t really recommend using your cards for the cruise portion of your trip. Can I use my Cash Passport for a holding deposit? Yes, but it isn’t recommended. Hotels, Car Companies and Cruise ships can take your card for deposits, but as the card is a debit card they will place a hold on your funds. When you check out they will release these funds but they can take weeks to return to your card. Cruise ships seem to be the worst and can take up to 6 weeks to return your money. What happens to any left over funds when I return home? If you don’t want to keep the currency for a future trip just come in and see us and we can cash it out for you. We can give you cash or pay into your bank account (please bring your BSB and account number). Cash Passport comes with support if your cards are lost or stolen – click here for the Emergency Assistance details. They can arrange a replacement card and also emergency funds via Western Union if neccesary. You also get a free back up card so you are never stuck without access to your money. I am going to South America, should I load US Dollars or Australian Dollars on my card? As each country has it’s own currency we recommend that you load Australian Dollars. ATMs will dispense local currency, not US Dollars (except in Ecuador where they don’t have their own currency.) Eftpos machines in shops will also be in local currency. This means that if you load US Dollars you will be going through 2 exchange rates (eg Australian to US to Chilean Pesos). It would be probably be useful to take some US cash with you for some parts of South America, but most places want their local currency nowadays. Which Currencies do you buy and sell? We buy and sell over 50 currencies and try to keep most in stock at all times. How can I find out the rates you use in store? Our in store rates are available here. They are updated by 9.30am each day except Sunday (when we are closed). Do you purchase all currency notes? The quick answer is yes, but we do have some exceptions. Naturally we will also check all notes to make sure they are genuine. We use electronic note checkers and UV lights to accompany our long term experience handling. We also do not purchase any USD notes dated before 2004. There were simply too many forgeries of those series, plus these are not accepted in many places in Asia and Africa any more so we can’t usually resell them. How do I order currency and can I choose which denominations I want? You can order currency in store by phone (9939 7490) or in our online store. You can request specific denominations and we will do our best but we can’t always get hold of every denomination. We will also find out where you are going so we can recommend something suitable (eg small new notes for Cambodia). We will often have the currency available straight away as we keep over 40 currencies in stock in a range of denominations. How many $1 bills should I take to the US for tipping? Nowadays you really don’t need many, if any. Your first tip will likely be $5 for the taxi or shuttle driver for carrying your bags. Most hotels now let you take your own bags to your room saving you the tip. They will also recognise you as Australian and assume that you don’t know how the tipping works! As soon as you buy anything you will get a lot of $1 bills in your change. On a recent trip to Hawaii, one of our team members took only $100 bills and by the end of day 1 had 18 one dollar bills! Northern Beaches Currency is The Currency Exchange. 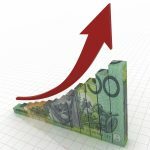 This currency exchange is operated by Ian Spight Pty Ltd Trading As Northern Beaches Currency. Between 2010 and 2016 in Warringah Mall we traded as The Currency Exchange. 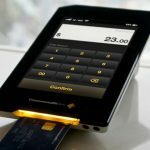 Our online store for our online orders and travel card reloads is www.thecurrencyexchange.com.au.